Enjoy the Florida lifestyle in this updated and immaculately maintained 1/1 condo located on the 2nd floor with gorgeous lake and golf course views. 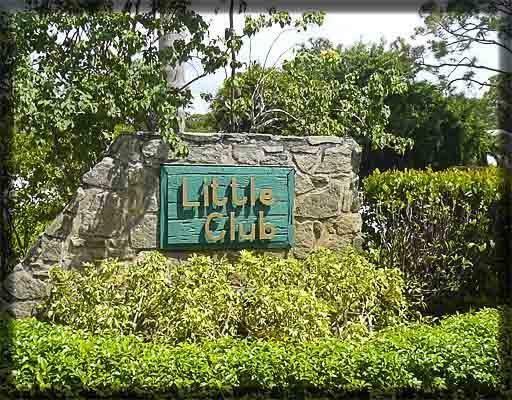 Little Club is an active 55+ community with access to the 9 hole golf course (no fees), community pool, tennis, bocce ball, shuffleboard, billiard room, library, laundry facilities and more. Updated kitchen and bath. Master bedroom is spacious with a walk in closet. Screened in patio is perfect to enjoy the peaceful views and the beautiful Florida weather. Available turnkey furnished as seasonal or annual rental. (Unfurnished annual rental may be considered). No pets allowed per association.